Apparently, the animal gods decided I've lived long enough without a cat, so this one stole into my dreams one night and stole my heart away. I have had this problem with dreams before. It doesn't help that she's cute as all get-out, either. So, it looks like I'm going to be saddled to yet another head-strong little feline, and will most likely become completely enamored of her. [I already have.] We'll start off with photos that my sister, Lyn, sent me of her, complete with her own captions in quotation marks. More photos will follow, don't worry. This will be a work in progress. 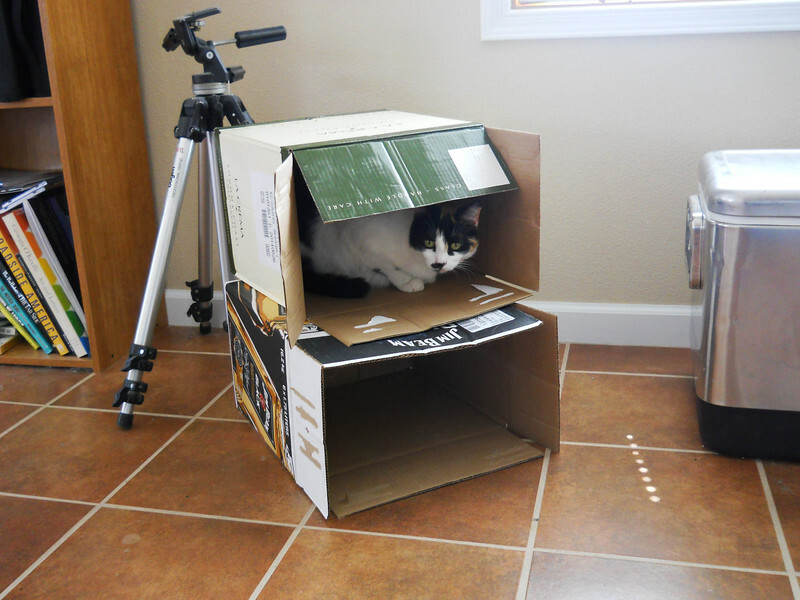 I came back with yet another liquor box (actually a wine box) and thought Molly might like the view from the top floor. She loved it!